In 1956, International Harvester entered the off-highway end dump field with its Payhauler line of trucks. Eight years later, the 180 Payhauler was introduced. 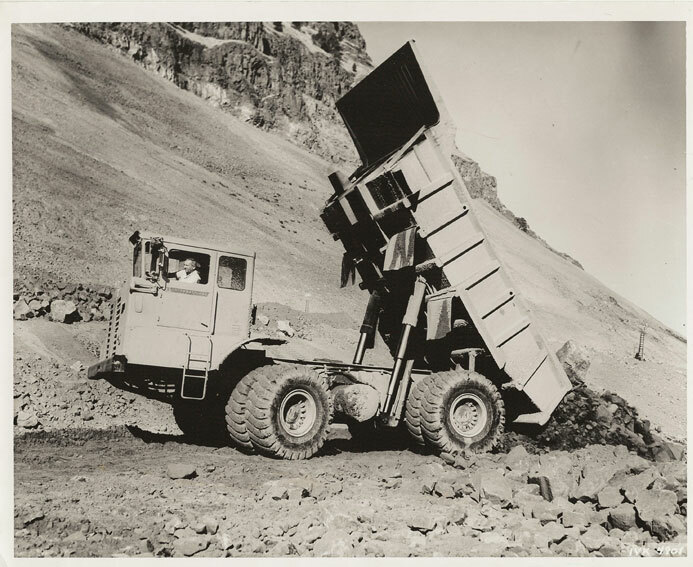 Rated at 45 tons capacity and travelling on dual front and rear tires, the 180 was the first large all-wheel-drive end dump. A 50-ton version followed in 1968, along with a smaller model, the 140, in 36- and 40-ton sizes. The model line was revamped in 1973; the original rear-axle-drive trucks were discontinued, and the all-wheel-drive trucks were redesignated the 330 and 350.
International sold the Payhauler line in 1982 to International employees who formed Payhauler Corporation to manufacture the 350 truck. Payhauler was acquired by Terex Corporation in 1998, and the 350 series continued in production until the line was discontinued in 2003. The Historical Construction Equipment Association (HCEA) is a 501(c)3 non-profit organization dedicated to preserving the history of the construction, dredging and surface mining equipment industries. With over 4,300 members in twenty-five countries, our activities include operation of National Construction Equipment Museum and archives in Bowling Green, Ohio; publication of a quarterly magazine, Equipment Echoes; and hosting an annual working exhibition of restored construction equipment. Individual memberships are $30.00 within the USA and Canada, and $40.00 US elsewhere. We seek to develop relationships in the equipment manufacturing industry, and we offer a college scholarship for engineering students. Information is available at www.hcea.net , or by calling 419-352-5616 or e-mailing info@hcea.net .